In the long history of astronomy eclipses are perhaps the preeminent celestial phenomena, visually striking in their effect and witnessed by all humanity. he StarTypes Visual Ephemerides do all of this and more. Each month has a 360-degree open chart when with planets and aspect patterns drawn in plus a listing of the Sun, Moon, planets and lunar node by degrees and minutes. StarTypes is life-path astrology, interpreting large-scale planetary patterns in the sky above and charting the dharma or life path of an individual and their primary relationship role down here on earth. Astrology of the Heart will be of particular interest to the counseling astrologer or those astrologers who want to understand the shamanic nature of astrology at a deeper level. 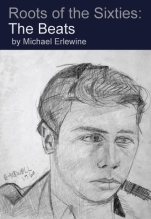 Here in a single book, expert astrologer Michael Erlewine lays out the phenomenon of retrograde motion in a clear and easy-to-understand manner. More than just abstract theory, this is a hands-on way to interpret retrograde planets in your natal chart. This is a complete course in astrology from astrologer Michael Erlewine. Author Erlewine, who is an award-winning archivist and director of the Heart Center Astrological Library. Nodes are sensitive points in the natal chart that can be interpreted. Obvious examples of nodes are the Nodes of the Moon. The Ascendant, Midheaven, Vertex, and other sensitive horoscope points are nodes. The 360 3-way combinations can be used to read any aspect pattern in the astrology chart. They can also be used to read â€œPlanetary Picturesâ€ and midpoint trees as developed by the German astrologers Alfred Witte and Reinhold Ebertin. This book is intended as a self-reading horoscope and guide to interpreting natal horoscopes or charts as related to the twelve astrological houses. The book includes complete interpretations of the planets in each of the twelve houses. This book is intended as a self-reading horoscope and guide to interpreting astrology charts. Also included is an introduction to the theory of astrological aspects. â€œLocal Space is no â€˜subtle plane,â€™ but a personal landscape painted in bold and clear strokes and tailor-made to fit the psyche of each individual. Mother Moon not only covers both the exoteric nature of the Moon (what science and tradition knows about it), but also the esoteric significance, what the inner meaning of the Moon means to each of us astrologically. This book takes the reader from the surface of the earth itself (using copious diagrams) and explains the basic astronomy of modern astrology. Basic fundamentals of Tibetan astrology. Of course topics like the Five Elements, Twelve Animals Signs, the 60-year Element-Animal Cycle, the Nine-numbered Magic Square, and the Eight Trigrams of the I-Ching are covered. In Tibetan astrology and geomancy the Sa-Dak are the spirits that surround and protect a particular place, the lords of that land â€” the Earth Lords. 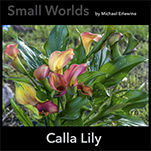 "Poetry for me has been a way to record my inner changes and spiritual experiences. I don't write poetry that often, but when I do it is always in response to some inner realization or other, something I am going through that finally becomes clear to me." An easy-to-use way to calculate a chart of your Dharma or Life Path, and a separate but related chart of your Karma, thus your Dharma Chart and you Karma Chart. Tables and all that you need is in this book. I consider these two charts to be the essence of the tribe you belong to and how you will appear to the world. A radical new way to look a chart using full-phase aspects. This is a Karma Kagyu Prayer in traditional pecha format that will print on any 8.5 x 11" paper, two-sided. If your printer does not print double-sided, then take to your local Staples and have them do it. It is in PDF format. This book documents the authorâ€™s personal journey in dharma practice, particularly as regards learning Mahamudra meditation. 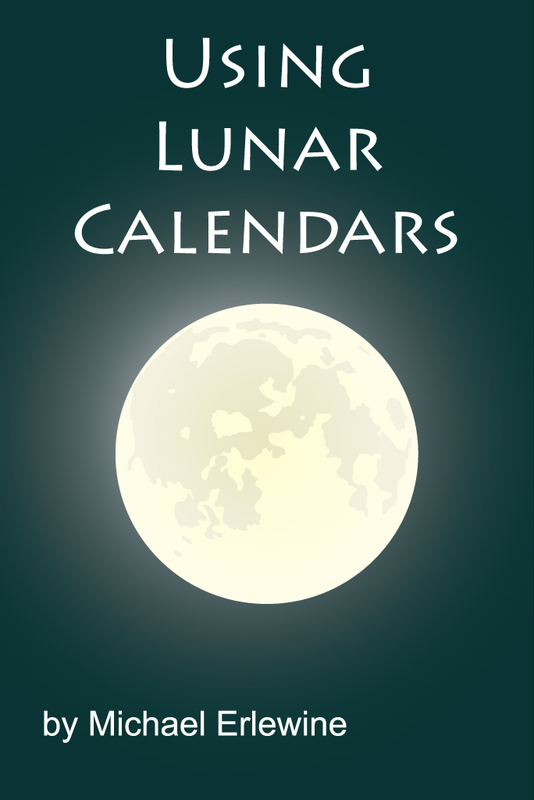 Most dharma practitioners have a meditation or practice schedule based on the lunar calendar, including not only New and Full Moon times, but exact times for the 30 lunar days in each lunar month. What we have here are recent essays and blogs, mostly from 2013, but some from 2012. These offerings are a bit of a smorgasbord, but two principle themes are the effects of change on the Self and its reactions. Although I have many interests, of late they seem to be narrowing down to dharma-related themes, in particular phenomenology and the dharma. It is a little embarrassing to have such a narrow perspective, but then I remind myself that the dharma is not only the middle way, but it is a wide path, and the only one I feel like traveling just now. Meditation training is still quite new in this country. We are just getting the word out, so most of the emphasis is on the actual physical meditation technique itself, the bare bones, but there is more. 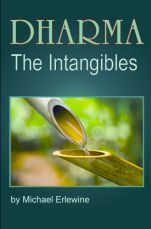 Aside from the basic physical technique, there are what I sometimes call the "intangibles' – everything else. There is so much emphasis on learning the basic techniques of meditation that these intangibles are usually ignored until later on down the line. The problem with this is that these so-called "intangibles" are not just supplementary add-ons -- afterthoughts. Quite the contrary, they are crucial to the success of actually learning to meditate properly. A series of blogs on the two main types of meditation, Tranquility and Insight meditation, everything you need to learn Tranquility meditation, plus an introduction to Insight meditation. I give up trying to arrange and sort these articles. This book contains a variety of blogs on different topics and in different categories. You know what you feel like reading, so please suit yourself. How to use a lunar calendar, complete with introduction, and section on the Lunar Month, Phases of the Moon, Major Practice Days, Detailed Practice Days for a Year, Hindu Tithies, illustration and interpretation for each of the thirty lunar days, The Eleven Karanas with interpretations and graphics, Detailed Indian Tithies, Nakshatras (Lunar Mansions), with graphics and interpretations. 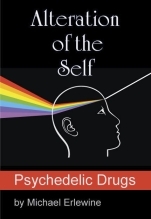 These are a series of articles on psychedelic drugs and their relation to the Self and to Buddhist mind training. Tibetan Buddhist monks and laypersons, along with Zen Buddhist, have developed methods of training the mind that are over 1,000 years old and have proved very effective. These amount to a life-long practice. 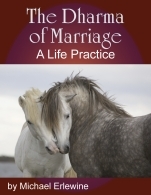 Marriage for many of us is also a life-long practice just as difficult and complete as many dharma practices. This article is about using these tried and true dharma practices within a marriage to solve problems and to help keep it together. I have been involved with the Karma Triyana Dharmachakra (KTD) Monastery since 1983, when they were just pouring the foundation. Most of the photos photos shown here were taken at the KTD monastery (KTD) which is located in the mountains above the city of Woodstock, N.Y. KTD is one of the largest Buddhist monasteries in North America, the seat of His Holiness the 17th Karmapa, Orgyen Trinley Dorje. A complete dharma practice that is easy to learn and that can be used both on-the-cushion and off-the-cushion during the rest of your day. In my opinion this is a practice tailored for Westerners. 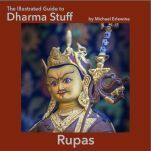 The Illustrated Guide to Dharma Stuff: Rupas (statues) This free e-book is for those who want to look at Tibetan Buddhist “Rupas” or statue close-up and in detail. 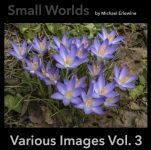 This free e-book is the story of how I managed to mix learning the practice of Mahamudra Meditation with close-up photography. Probably not something many in this forum may want to read, but a few of you might enjoy it. Mind-Training, using the mind to look at the mind, is not just for meditators anymore, but is going secular. Tibetan Buddhist methods of mind training are useful to anyone willing to learn them. Here is a series of very-short, easy-to-read, articles on training the mind, many of which can be used at any time in our busy work schedule, and not just on the cushion. Here are a series of nineteen articles written in 2015 by Michael Erlewine, all focused on Tibetan Buddhist mind-training methods, and geared for the beginning and intermediate practitioner. They are easy to read and understand and are based on hands-on practical experience rather than abstract theory. The “Four Thoughts That Turn the Mind Toward the Dhama,” also called the Common Preliminaries and the Four Reversals are considered by many as the place to begin understanding, learning, and practicing the Dharma. Not some scholarly doctrine or list of imperatives, the Four Thoughts are already familiar to most people as part of their deepest inner sense of reality. A series of easy-to-read and understand articles on how get started practicing dharma, where and how to begin. The art of Sange Wangchug, Cultural Minister of Bhutan, Volume 2, Decorative. 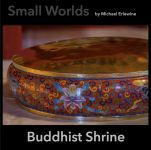 A selection of 29 dharma articles by Michael Erlewine, with an emphasis on the concept of Karma and how it relates to the Eighth Consciousness (Alayavijnana) or Storehouse Consciousness. DHARMA BLOGS, 2016 Winter, 407 pages, 83 articles. 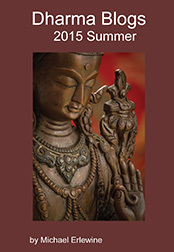 DHARMA BLOGS, 2016 Spring, 232 pages, 67 articles. DHARMA BLOGS, 2016 Fall, 310 pages, 80 articles. DHARMA BLOGS, 2017 WINTER, 255 pages, 67 articles. Dharma Blogs 2017 Spring, 203 pages, 74 articles. The author's personal experience with Mahamudra training and experiences over 30 years working with a Tibetan Rinpoche. The dharma of resistance, when we HAVE to do something, but don't feel like it. Several articles. Michael Erlewine explains how he approached various addictions, including caffeine, alcohol, sugar, drugs, cigarettes, overeating, and meat. This is the Mahamudra Lineage Prayer in traditional pecha format that will print on any 8.5 x 11" paper, two-sided. If your printer does not print double-sided, then take this to your local Staples and have them do it. It is in PDF format. This is the Mahamudra Lineage Prayer in traditional pecha format that is configured for your laptop use. This is the a Karma Kagyu Prayer in traditional pecha format that is configured for your laptop use. This is a Karma Kagyu Prayer in traditional pecha format that is configured for your laptop use. Dharma and Astrology blogs for the spring of 2018, 346 pages, 93 articles. 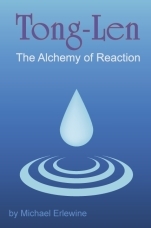 These seven points and 59 slogans are part of what are called the Lojong or mind-training teachings. I consider them to be (along with “The Four Thoughts That Turn the Mind to the Dharma”) the quintessential teachings for any beginning (or advanced) dharma student. Here is the Karma Kagyu lineage in pecha format. This is a printing version (2 sided) only. There is a screen version also. Here is the Karma Kagyu lineage in pecha format for use on a desktop or laptop. This is a SCREEN VERSION only. There is a printing (two-sided) version as well. Look for it. Drawings based on the Abhayadatta System, by Jonang Taranata (1575-1635), murals in the Ganden Puntsogling Monastery in Tibet. These can be printed out double-sided. The Kagyu lineage from the celestial Vajradhara through the five original lineage members and then through the line of the Karmapas and heart sons is illustrated here for guru yoga practice. This is the 2-sided printing version which can be duplicated at Staples, but you will have to reverse (up-side down) every other two-page spread. The pages are numbered, so it should be obvious to the clerks at a copy center. The Kagyu lineage from the celestial Vajradhara through the five original lineage members and then through the line of the Karmapas and heart sons is illustrated here for guru yoga practice. This is the SCREEN or laptop version, not for printing, but just for looking. Download large images of the Karma Kagyu Lineage holders. 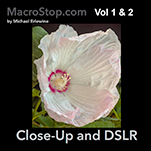 The second volume in a two-book series on close-up and macro photography. 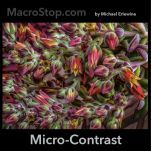 This book has detailed specifications on 42 of the finest lenses used for macro and close-up photography on Nikon systems. 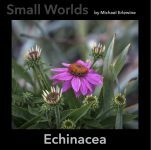 Nature in the Backyard was written as a photographic introduction for the author's grandchildren to the world of nature, in particular the critters living in our own backyard, nearby parks, meadows, streams, ponds, and forests. 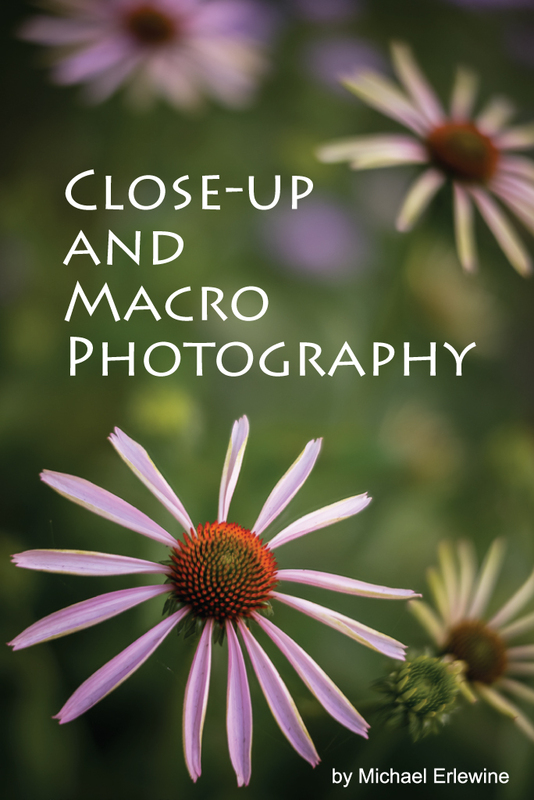 An introduction to macro and close-up photography including focus stacking, the technique, equipment involved, examples of stacked photos, problems encountered in focus stacking, processing, and more. 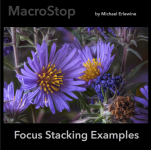 This is a workbook of photos using focus stacking with accompanying notes. 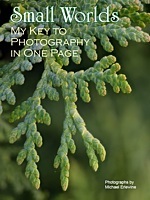 Book two should be used with the main book The Art of Focus Stacking: A Primer. My approach to photography in one page. 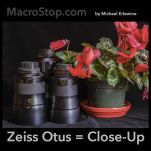 In-depth information on close-up, macro, and focus stacking. 318 pages, illustrated, includes a series of articles, equipment selection, and probably more that you want to read. 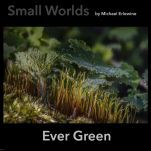 Well known close-up and macro photographer Michael Erlewine offers a series tutorials on photography. 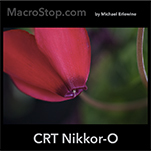 In this album, imagines and explanation about the Nikon CRT Nikkor-O lens is presented. 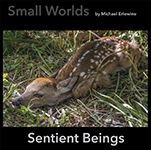 This is part of a series of hi-res Close-Up and Macro photos by Michael Erlewine. 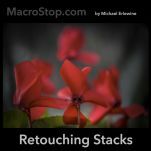 An in-depth introduction to retouching stacked-photos in Adobe Lightroom, Adobe Photoshop, and Zerene Stacker. 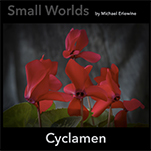 Forty pages of text with copious hi-res illustrations and diagrams by well-known photographer Michael Erlewine. 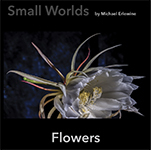 A variety of close-ups and macro photography images, including focus-stacking, by photography Michael Erlewine. Well, we all know that these three new APO lenses were not designed for close-up work, much less macro photography. And since I have a score or more of great macro lenses, why would I spend time working with these lenses that are by definition telephotos? The answer is very simple. They are that damn good! 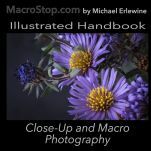 This is an extensive and fully-illustrated handbook to close0up and macro photography, including panoramas and focus-stacking, with photographer Michael Erlewine. NOTE: You will get a LINK to download this PDF, which may require you to enter the word "Handbook" in a search box to get the final PDF. 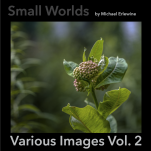 This free e-book is a collection of blogs posted here and there on the Internet via various photography websites on what I happen to be working on at the time. I make no claims about fine finishing this text, but just offer it to those who might enjoy reading or get something out of it. 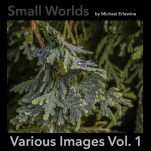 This is Volume 1 and 2 of a short series that offers images at various apertures for a group of very fine lenses for close-up work. These are large images, so you can see what happens at each of the various apertures for some special lenses. This is the Mahamudra Lineage Prayer in traditional pecha format that will print on any 8.5 x 11" paper, two-sided. If your printer does not print double-sided, then take it to your local Staples and have them do it. It is in PDF format. This is an extended (non-standard) treatment for film that is in the general lineage of â€œBlade Runner,â€ a no-tongue-in-cheek drama, with no camp. Poster expert Michael Erlewine interviews 18 of the greatest poster artists, promoters, collectors, and experts from the 1960s and beyond. These are fascinating in-depth interviews. A collection of 43 articles on posters by Michael Erlewine on their collection, value, history, archiving, storing, and you-name-it. The folk and blues music scene in Ann Arbor, Michigan (and some jazz) as told by Michael Erlewine, founder of the All-Music Guide, historian for the Ann Arbor Blues and Jazz Festival, and author of the award-winning book on the first two Ann Arbor Blues Festivals and much more. In May of 2008 I was asked to be part of a video crew to film the first visit to the U.S. by His Holiness, Orgyen Trinley Dorje, the 17th Karmapa and the head of the Kagyu Lineage of Tibetan Buddhism. These are just my views and opinions about that seldom-mentioned time between the end of Beats (late 1950s) and the beginning of the Sixties Movement, which started basically in the summer of 1965, those in-between years. Relates to the scene in Ann Arbor and Berkeley. Not meant to be definitive, but just musings by me on those times. 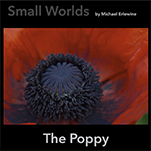 In includes a detailed account of my first LSD trip. A look at diet and exercise for those with health conditions or who are aging, like me. A collection of 81 articles by Michael Erlewine on Ann Arbor in the 1960s, the music scene, the Beat Scene, and other topics. 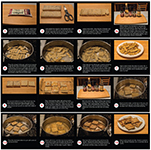 This is an illustrated recipe on how to cook delicious tempeh.